Turbo Tech Racing's Upper Transmission Mount for the Ford Focus ST 2.0L and Focus RS 2.3L Turbocharged. 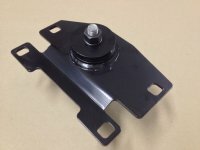 The Upper Transmission Mount eliminates movement that your factory mounts have, maximizing torque and the transfer of energy to the driveline. 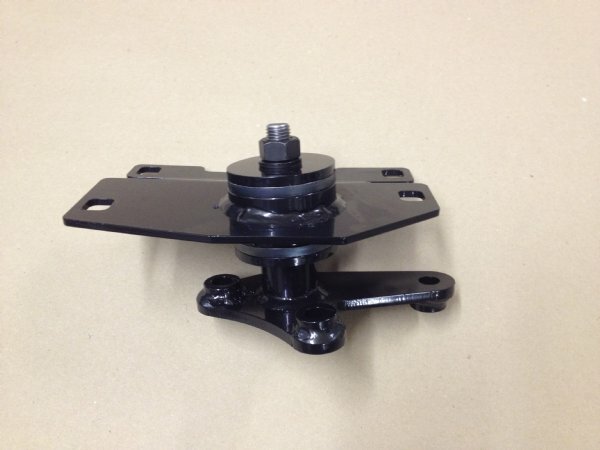 In addition reduces wheel hop, and the 1-2 shift "bang" that the occurs with the stock mount. Review of product: This is an outstanding product. I never had the TSB performed on my ST, just replaced the rear and passenger mounts with the Steeda parts. When TTR offered this, I jumped on it, as I was still experiencing wheel hop and a bit of the 1-2 bang under hard acceleration. After the install of this part, ALL of that went away. The car tracks straight as an arrow, and virtually zero wheel hop. Your tires will go out in a blaze of glory!! !